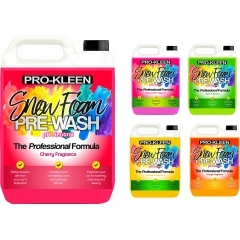 If you’re looking for a super-effective pre-wash that gives you a thick snow foam every time, Pro-Kleen Snow Foam is the best choice for you. 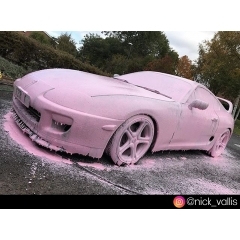 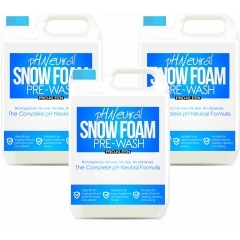 The UK’s favourite brand of snow foam is available in a range of fragrances and styles, but they all give the same amazing results. 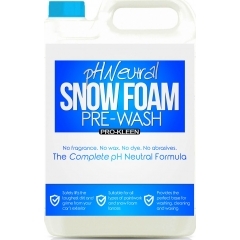 When combined with our Snow Foam Lance, this pre-wash gives you thick, clingy snow foam every time. 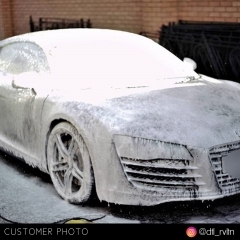 Spray it on, leave it to dwell on your car for a few minutes, and rinse it off to lift off stubborn dirt and grime from your car’s paintwork. 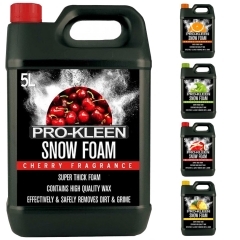 This boosts your car’s paintwork, making your follow-up contact wash much easier and more effective, resulting in a showroom shine with no swirls and no streaks. 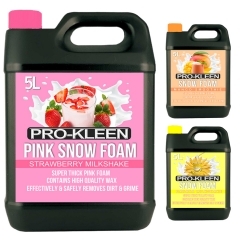 Snow foam is always satisfying to use on your car – and now you can make it even more enjoyable by choosing Pro-Kleen Snow Foam in your favourite fragrance and colour. 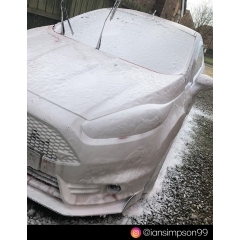 For cars with extremely sensitive paintwork, pH neutral snow foam is available for a gentler clean that’s still super-effective.